Since the earth invasion 20 years ago, co-existence between human beings and aliens were established in this country. ICPO, an institution with a mission to prevent violent crime happening in the invaded nation is the main protagonist of this full-colored Sci-fi human drama. 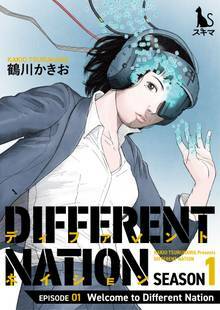 Together with Roy, the former New York police officer, and the serious alien Leonardo, Rika, a new Japanese investigator confronting the crime organization in the bizarre but thrilling “Different Nation,” which past-name we already knew.